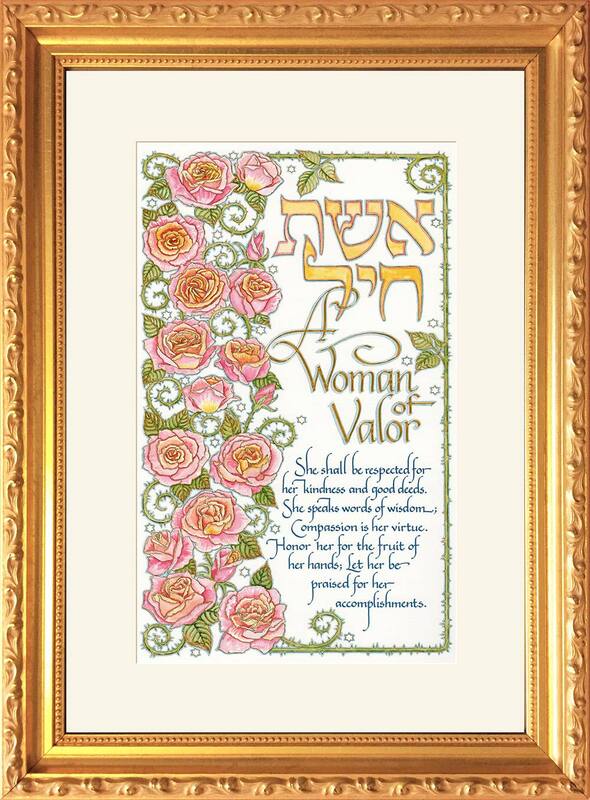 Ready to hang, matted and framed Woman of Valor art print. 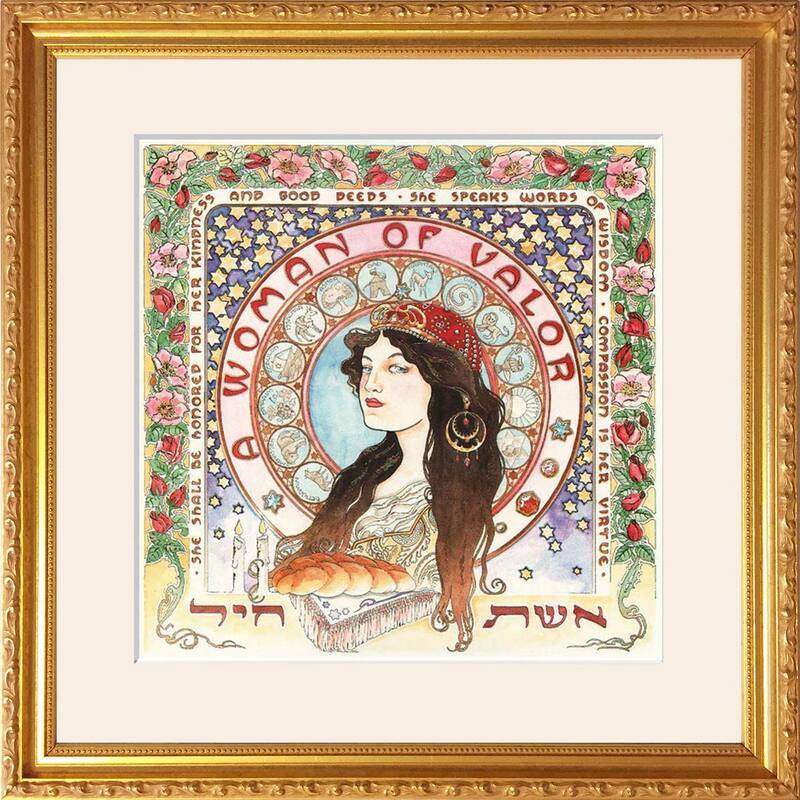 Art Nouveau Woman of Valor is a modern illuminated rendition of the biblical “Woman of Valor” with an excerpted text that is part of the traditional song (Proverbs 31) that is sung by the husband to his wife on Friday night. 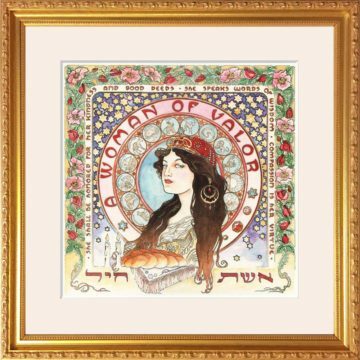 The symbols of the twelve tribes, Shabbat candles and a challah meld the Art Noveau style with traditional motifs. It is framed with a gold moulding and a white mat and completed with a dust cover, wire hanger and nail/hook bag for a finished, ready to hang gift. 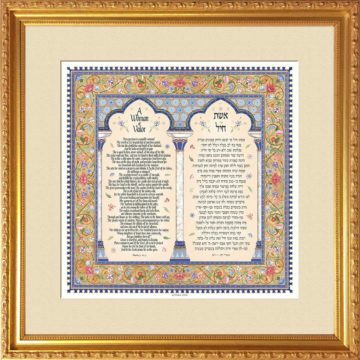 It is a wonderful gift for birthdays and makes an excellent gift for anniversaries from one spouse to the other. 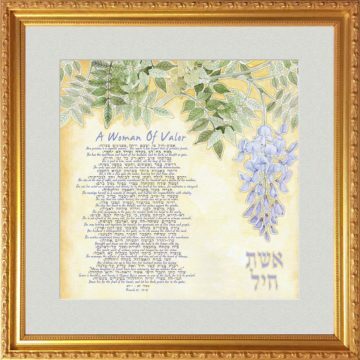 It is often used as a tribute or honorary gift for that special woman. Ready to hang, matted and framed Tree of Life art print. 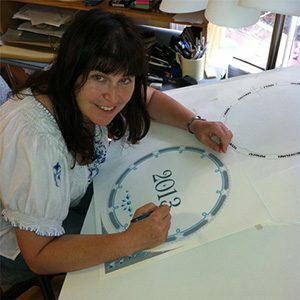 She shall be honored for her kindness and good deeds – She speaks words of wisdom – Compassion is her virtue.